A beautiful surprise can never be complete without flowers. 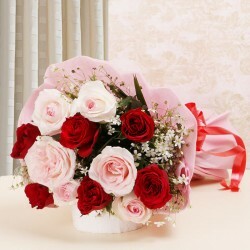 So send gorgeous, stunning and fresh flowers to your mom this Mother’s Day who lives in Gurgaon. Our wide network covers all parts in Gurgaon. And your mom will be surprised with the freshness and fragrance of flowers that is completely stunning & gorgeous. Blooming fresh flowers are often considered as the best gifts. They make surprises wonderful and since decade gifting flowers is been considered as the most loving gesture. This Mother’s Day, you can wish your Mom in a beautiful manner by sending fresh Mother’s Day flowers to Gurgaon. Flowers not only beautify your surrounding but also are pleasing to heart & soul. They are an ultimate gift by god that is eye soothing and a source to happiness. So, why not choose flowers over other things to make your mom happier. 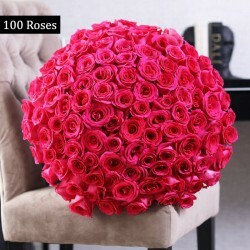 Our collection includes splendid pink roses, silk and pink, key to the heart, teddy with a heart, orange garlands, star kissed roses, arrangement of 100 to 1000 roses, etc. The unlimited range of fresh flowers is absolutely amazing to gift on Mother’s Day, so connect with us for a wonderful surprise. MyFlowerTree, undoubtedly one of the best florists in India has bought an unlimited range of stunning flowers for a beautiful surprise on Mother’s Day. You can explore gorgeous collection of flowers here available in different types like Roses, carnations, orchids, tulips, Gerberas and lilies. Our flowers are garden-fresh and arranged in the beautiful way, that your mom will love. You can also send Mother’s Day Gifts to Gurgaon along with these fresh flowers. We send flowers to all parts of Gurgaon via our easiest and convenient delivery services, that you can choose according to your comfort. Why would you opt For MyFlowerTree Mother’s Day Special Flowers Collection? Midnight delivery – The best surprise is always wishing someone, midnight at 12 pm. On Mother’s Day you can send flowers via our midnight delivery services and your mom will be going to love this surprise. Same day delivery – In case you have forgotten sending gifts and Mother’s Day has arrived. No worries, as you can now do so even at the very end moment, by depending upon our same day delivery services. Fixed time delivery- We understand how busy everyone is these days and while sending them gifts, timings matter the most. In that aspect, you can send Mother’s Day Flowers to your Mom, with our fixed time delivery option at the specific time your mom will receive flowers. Express delivery- Well, many of us just want to surprise our dear ones as soon as possible and especially when it’s Mother’s Day, we cannot keep calm. So avoid waiting for hours in front of local florist and send stunning flowers via our express delivery services in just three hours. Free shipping & Home Delivery – At MyFlowerTree, we bring free shipping services and absolutely free home delivery services too. So while placing an order of beautiful flowers for Mother’s Day, there will be no shipping and home delivery charges, (T&C) applied. Plentiful of Gifts – Along with flowers you can also send Mother’s Day Gifts to Gurgaon. At MyFlowerTree, we have an unlimited range of gifts that are worth a go with flowers, to surprise your mom. And here we have a wide range of amazing gifts which make a perfect combo with flowers.